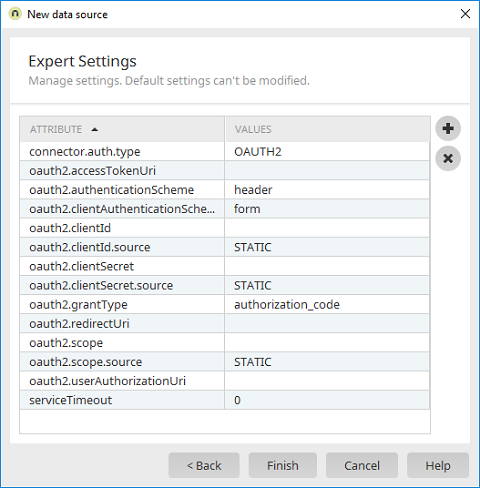 Integration module Consume data Connector for Connector API "Connector API" menu / New data source General information / Continue to "Expert settings"
Displays the name of the attribute. Displays the value of the attribute. Adds a new line where a new attribute can be defined. Deletes the attribute currently selected.